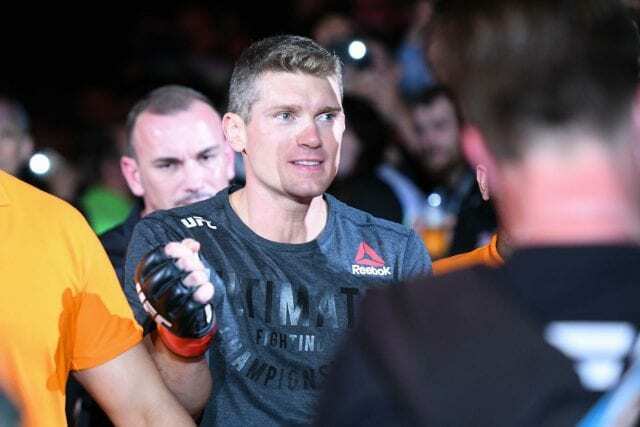 Stephen Thompson addresses his latest defeat inside of the Octagon to one former UFC champion. Ex-UFC lightweight champion Anthony Pettis scored a second round knockout over the title contender in the headliner of UFC Nashville. This event went down on Saturday night (March 24, 2019) at the Bridgestone Arena in Nashville, Tennessee on ESPN+. Following this fight, Thompson had to be sent to a hospital, but that didn’t stop him from getting on social media to talk about the fight. He went live on his official Facebook page to give his reaction to the devastating finish. Thompson would add in this video that he hopes to headline the UFC’s debut in his home state of South Carolina this June. That could not happen depending on how long of a medical suspension he gets.